- Responsephoto says the Camera+35mm lens kit will cost 1.300 Euro. That’s actually just a bit higher than the Fuji X100 price. The other two lenses will cost 600 Euro each. - Responsephoto says the sensors name is X-Trans! R. writes that Fuji took some ideas from the classica film technology to create the new sensor which will beat the image quality of all current fulflrame sensors! The photosites will be of 6 different colors and disposed randomly, therefore moire will be avoided. - There is no Anti Aliasing filter on the sensor. - The lenses are made of metal. - The camera has the new X-mount. The lens mount acutally goes a little bit “inside” the body! The mount diameter will be large and its flange will be of 17.7 mm. - The viewfinder is hybrid (optical and electronic). The optical viewfinder changes the view depending on the kind of prime lens you sue. This again is an idea coming from the Contax G2! - Other incredible new thing: The autofocus sensor is…external! There is a special AF sensor on the camera body! I really hope Fuji delivers. Everything looks amazing... build quality, specifcations, lenses. I haven't found any video specifications yet. If it comes to sensor innovation, Fuji is the brand I put my money on. Canikon and the others constantly improve what's already there, which is ok but kind of lame to me. Yes, but they also promised lots of great things in the past but I never really saw what their marketing department said. But still, they are doing new stuff and sensors is where the biggest improvements can be made so I love that they try to do exciting new stuff. I also like that they are gathering to classic photographers and not consumers that only look at specs. There are enough companies catering to those customers. I hope the megapixel race is over. Lets' make the most out of 'plenty'. Nikon and Canon are already going down that road with the 1Dx and D4. I hope their whole line follows that trend. 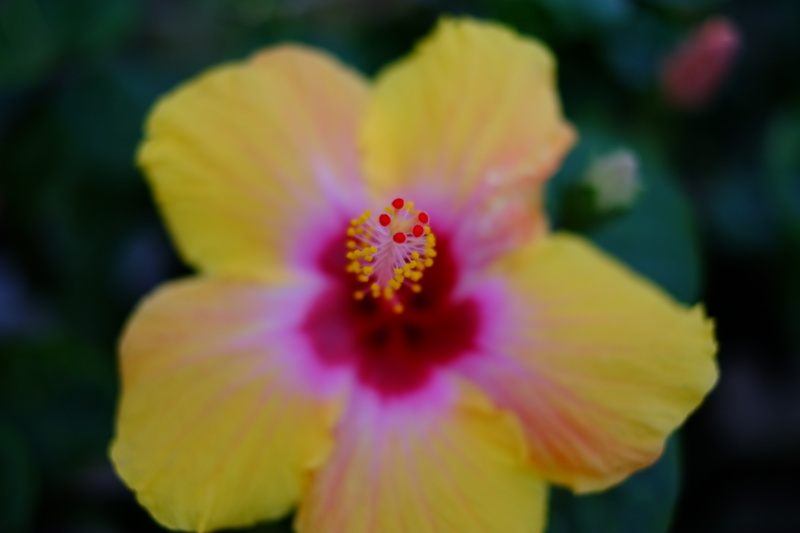 very interesting thing, i did some of my best shot with s5 pro fuji, excellent dinamic range, wonderful color. Looks very promising indeed! Exactly the kind of form factor I've been wanting for long. Let's hope they deliver! A sensor with error diffusion style photosites distribution is a very exciting concept. I hope for a very natural, organic lucking image! The big thing to me is Fuji is changing the classic mode of light having to strike the sensor directly (& exactly on) the perpendicular direction in order to record an image. The new lenses increases the color saturation "sweetspot" by 28%. Telling from the shutter speed options, there are no high hopes for a "game changer" on the video side. At least Not for PAL people (15, 30, 60, 125 ...) 1080 60p with a organic dithered image would be of interest though :-)::..
Will it even be able to do proper video? I read that this sensor design needs quite a bit of processing power. 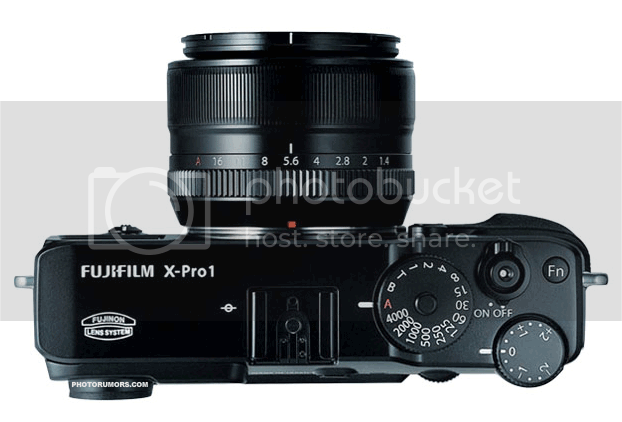 http://www.luminous-landscape.com/reviews/cameras/fuji_x_pro1_launch.shtml Fuji "Pro" camera: the good--large sensor, no AA filter, prime lenses The bad: No mic input (Fuji, you are stupid, stupid, stupid) 30 minute recording limit (stupid, stupid, stupid) No IS as yet (ummmm, stupid) If the bitrate is decent we may forgive you for the mic input, but, seriously, thirty minute limit, say "Cheesey"
It has no low pass filter. What a bold move by FujiFilm. Although this is not a "random" pattern, it features R and B palindrome patterns on every third row and column. That should reduce multicolored moire patterns significantly. However, most of the G pixels are grouped in 2x2 arrays repeated every third pixel horizontally and vertically. Since luminance is mostly determined by green pixel response, that will create a square grid pattern of reduced luma sensitivity at 1/3rd the horizontal and vertical resolution of the sensor. While this shouldn't be an issue at downscaled HD video resolution, it may have an undesirable fixed-pattern effect on the camera's highest resolution still image quality. The chroma resolution of the 6x6 grid is also 1/3rd the horizontal and vertical resolution of the sensor. Compared to the 4:2:2 color depth of a standard RGBG Bayer sensor, this might be loosely described as a 5:2:0 color depth, since there are 2.5 times as many G pixels as R or B pixels in the 6x6 grid. While the 6x6 RGB grid allowed Fuji to eliminate the optical anti-aliasing filter, that doesn't make the camera immune to aliasing artifacts. The palindrome R and B patterns will partially cancel out a large amount of the chroma artifacts, but luma artifacts will still be present. Fuji no doubt designed a proprietary digital filter to suppress the luma artifacts while preserving as much of the fine image sensor details as possible. For HD video it is all good. Can't believe it's taking so long to actually show footage, though. Guess not all of the companies are interested in nabbing that business. I really think Fuji sees video mode as nothing but a tedious obligation they successfully checked off. Probably no manual control anyway and if they really don't offer 1/50 shutter it will be pretty much useless in PAL land. Re: shutter who knows, maybe there is more shutter control than the dial only, and who knows if it will be the same increments in PAL land as for NTSC. By the way, I think it looks a tad bulky for a rangefinder..
Guys, I think this thing was made 99,98% for photography. Video mode was just a checkbox. I alto thought I read that you can also set shutter in menu. I think this might well be the perfect photo camera. Olympus has a digital OM coming though... maybe it will have good video options. The market is getting crowded. Companies just need to step away from those stupid AVCHD format specifications (and offer higher bitrates and framerates).